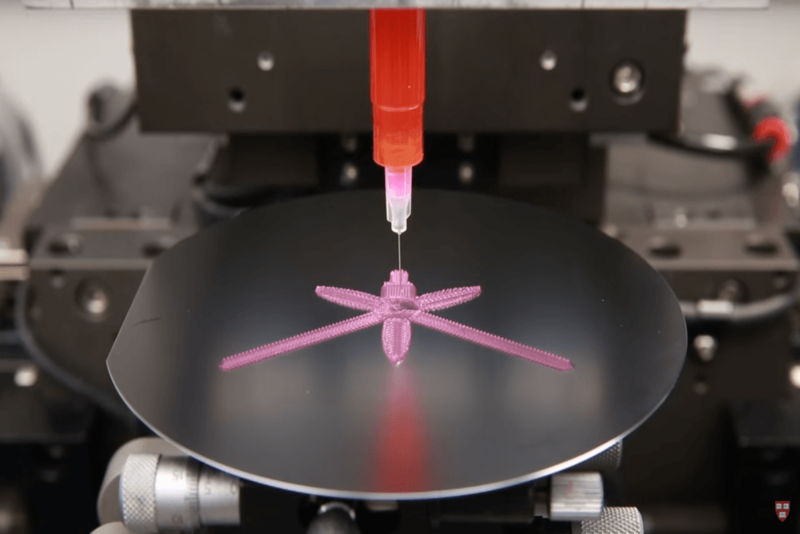 Though the practice of 3D printing is still firmly entrenched in its journey from fledgling idea to emerging technology, news out of Harvard’s Wyss Institute this week proves innovation waits for no one. According to a published press release, a team of researchers at the esteemed Ivy League school have taken the concept of 3D printing and upped the ante by adding a fourth dimension: time. Taking on the obvious label of 4D printing, the group’s inventive take on additive manufacturing uses a gel-like composite to print flat objects which then have the ability to dramatically alter their shape when submerged in water. Developed under the management of the study’s senior author Jennifer Lewis, the gel-like composite ink used for the prints contains miniature fibers of cellulose, an organic compound found in plants. Moreover, a plant’s ability to alter their shape and formation based on environmental stimuli was one of the biggest influences when Lewis’ team created 4D printing. Specifically, the group intended to develop a printable substance capable of mimicking the way plants respond and react to precipitation or sunlight. The resulting cellulose-heavy composite allowed them to accomplish this very goal. Before printing, Lewis and her team have the ability to adjust the extent to which each object will swell when immersed in water by choosing how to align the fibers of cellulose. While aligning the cells, the printer then encodes the hydrogel ink for specific anistropic stiffness and swelling. It’s the cellulose’s anistropic quality that allows the team to accurately predict how the object may shift its shape when exposed to water. Because of this, the team developed a precise mathematical model which allows them to program and tune the prints to whatever they desire. “What’s remarkable about this 4D printing advance made by Jennifer and her team is that it enables the design of almost any arbitrary, transformable shape from a wide range of available materials with different properties and potential applications, truly establishing a new platform for printing self-assembling, dynamic microscale structures that could be applied to a broad range of industrial and medical applications,” says Wyss Institute director Donald Ingber. 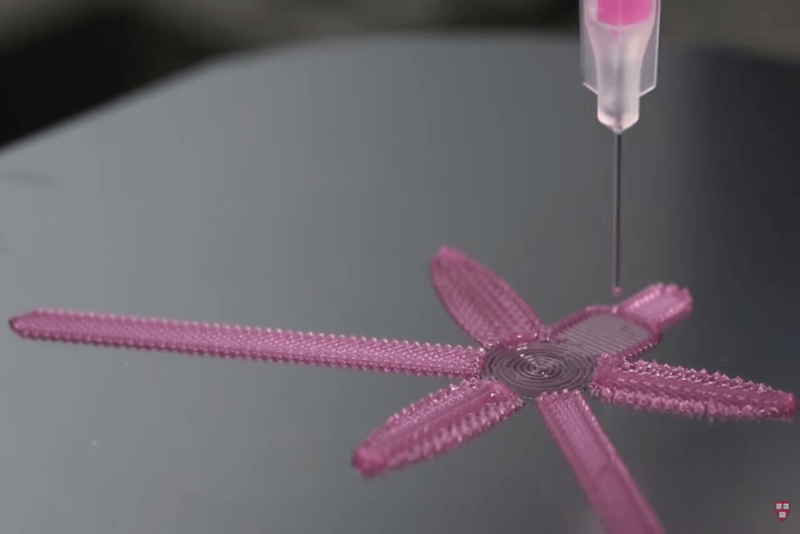 Moving forward, the team intends to see how well its 4D printing model does printing live, active tissue. Whereas a 3D-printed organ may allow for the production of a working replacement organ, advancements in 4D printing could allow for the creation of actively adaptive cells — i.e. as the body changes, so too would the implanted 4D-printed tissue. These are obviously incredibly lofty goals for a tech in its infancy, but if anyone’s going to do it, why not a team of scientists from Harvard University?